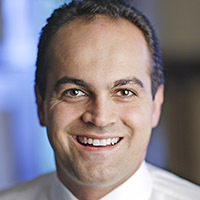 David Nour is a senior management advisor, international speaker and best-selling author of such books as Relationship Economics, ConnectAbility, and Return on Impact. He has been a recognized strategist on the topic of business relationships for more than 25 years. He delivers more than 60 keynotes annually at leading industry associations, universities and Fortune 500 companies. He pioneered the phenomenon that relationships are the greatest off-balance sheet asset any organization possesses. He holds an MBA from the Goizueta Business School at Emory University.